The daily deal can be tough to resist, and the market around reselling unused deals is growing. The daily deal industry itself, while fairly new, already accounts for $5 billion dollars annually, according to Bradley Wasz, co-founder and COO of CouponTrade, a company whose unique marketplace allows users to sell those untapped deals and buy and sell unused gift cards. Through a number of current features on the site, as well as many planned down the road, CouponTrade’s consumer to consumer marketplace – which requires the user to have a PayPal account – has been lucrative for the enterprising users out there. There are the college students who resold their Groupon-bought tickets to the sold-out North Coast Music Festival at profit, and those that bought a Whole Foods deal on CouponTrade and combined it with Living Social’s recent and crazy-popular Whole Foods deal. One user wrote to the company to express his happiness over selling enough unused gift cards to put a down payment on a car. 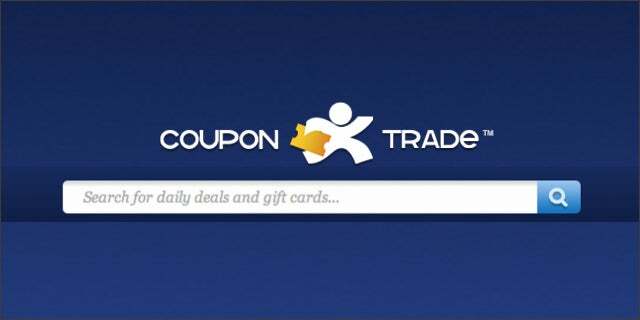 CouponTrade provides a new approach to maximize your money. One new feature that is scheduled to roll out in the next few days will allow you to find a store on the site, connect to a deal, and use that deal online when they shop, consolidating the process of shopping and deal-hunting in one place. Wasz, a veteran in the daily deal space as founder of the site Dillyeo.com, says the company is working on other money saving tools like instant couponing in-store and an online education piece called ‘Couponics 101’ that will show users how to save money shopping online, particularly on sites like Woot and Slickdeals. iPhone and Android apps are coming soon; Wasz says the company is working on a well-thought out web application that works in tandem with well-designed mobile apps. CouponTrade values high quality design and has a “rigorous design squad” according to Wasz, who has worked on projects for McDonald’s and Proctor and Gamble. Since its launch 4 months ago, the company has added 20 employees and reports $500,000 in revenue (from transaction fees), with plans for a national marketing campaign next year. With $2.5 million in seed funding, Wasz, along with co-founder George Bousis, plan to close a Series A round at the end of the year, raising between $10 -$20 million that will allow CouponTrade to staff up and launch the new features in the pipeline. Check out How coupontrade works on Vimeo. Marla Shaivitz is a writer, developer and digital marketer. She's interested in innovations & innovators in technology and those working toward social good. Follow Marla on Twitter at @marlashaivitz.